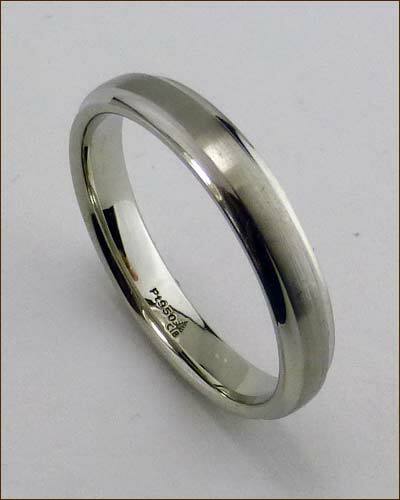 This classic ring from a master of the art is constructed of 950 platinum for life-long wear. 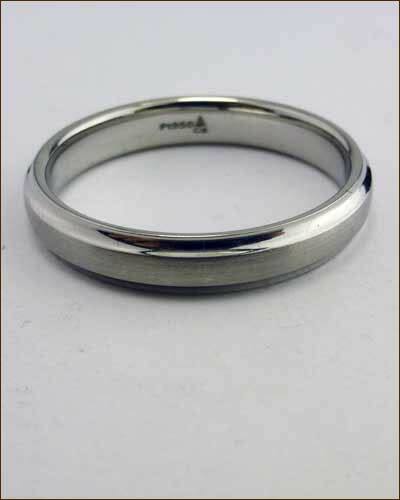 The ring has a slightly matte finish and features a very subtle and interesting, highly polished bevelled edge detail. It is 4mm wide and is a size 10.